Hosting a Backyard Bash for Memorial Day is supposed to be simple and non-stressful. The ultimate easy breezy gathering, however has the simple laid-back outing lost its fire and become a humdrum uneventful occasion? Even if your gathering is simple it requires time and planning to ensure you and your guest have a great time and amazing food. A backyard gathering requires a well planned menu and food preparation time. The more time you invest in planning the less time you have to spend running around during the gathering. Plan the guest list: Before you do anything, you need to decide how many people will be attending your BBQ. Opting for a larger crowd will require a much more generic selection of food, while a smaller intimate group of people might allow you to get a bit more creative. Either way, you’ll want to get a proper headcount before you hit the stores. These days, online invitations and event pages are a much easier and well-received route than the old paper invites. Set up a page, and invite away! Be a smart shopper: Regardless of the size of your party, BBQs are notoriously heavy on food. Check the paper for seasonal sales on items like paper goods, meat, snack foods and beverages. Warehouse stores can also offer a great deal on a lot of food. You can buy hamburgers and hot-dogs in bulk and save yourself a good amount of money. These stores also have the best deals if you’re planning on serving alcohol. Bulk beer, wine and mixers are a much more affordable route than buying multiple packs in the grocery store. 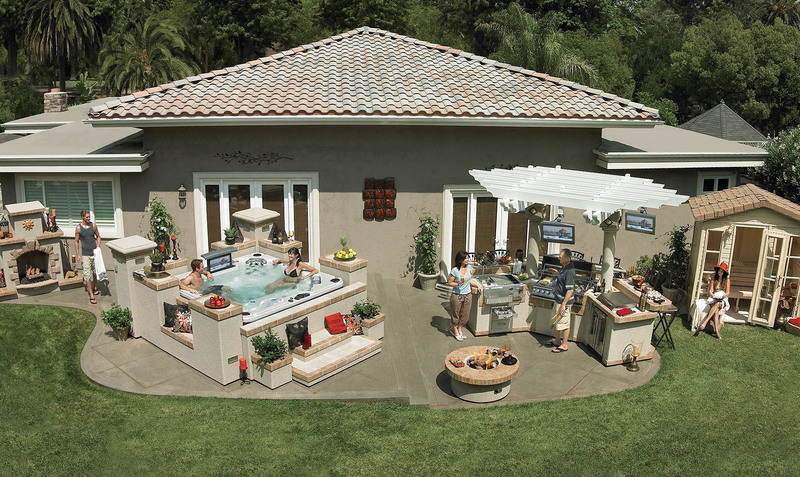 Pick the right spot: The backyard is a great place to have a BBQ, but sometimes it just isn’t enough. If you need more space, or want to steer larger crowds away from your house, trying throwing your BBQ at a public park or at the beach. Depending on the location, there is usually only a small deposit fee to hold the space. Pick a place that’s centralized to your guest list, you don’t want to force your friends to drive several miles out of their way. Decorate like a pro: BBQs are one of the easiest events to decorate for. Buy some blow-up party decorations from your local party store and toss them around your backyard. It’s easy to theme a BBQ because most decorations come in packages. Tropical themes, and 50s beachside bashes are a favorite among BBQ throwers everywhere, but why not be creative? Try coming up with your own take on the BBQ, sprinkle in some disco decorations and flashing lights. Ask everyone to come dressed as their favorite cartoon character. You’re in charge, make it fun! Coordinate cook times: If you have a lot of food to prepare, you might want to get started the night before. Cook any side dishes or desserts on the eve of your BBQ. The only items that really require same-day preparation are the meat and the cocktails. If you’re throwing your BBQ with a spouse or roommates, make sure to break up the food prep between you. Set the mood with music: Picking music for a BBQ is all about having fun. No one wants to listen to easy jazz or Gregorian chant when they’re biting into a loaded hot dog. Create a playlist that includes upbeat pop songs, classic oldies, and a few of your own favorite standbys. Don’t limit yourself to one genre; there will undoubtedly be at least one person who disagrees with your musical taste. If you’re inviting a lot of kids, or if you’re holding your BBQ in a public place, be sure your music is appropriate for all ears. Schedule activities: Don’t expect your guests to entertain themselves. Plan some activities to take place throughout the day. Water balloon tosses and dance contests are always fun selections for an outdoor bash, but feel free to be as creative here as you were with your theme. Make sure you come up with something for everyone. If kids will be in attendance, pick out some activities for them as well. As the day winds down, trivia challenges are always a fun option. Don’t get caught up: Regardless of the type of party you’re throwing, it’s easy to get caught up in the planning, and completely neglect your own enjoyment. Don’t let yourself get stuck behind the grill or running to the store to pick up last-minute items. Remember it’s only a BBQ, and that you want to walk away with some good memories of your own. Whether you’re a first time planner, or seasoned professional, a backyard gathering is one of the most fun and exciting parties you can throw. Proper planning and purchasing are key, but don’t let yourself get too caught up that you miss all the fun!